When produce is in season locally, the relative abundance of the crop usually makes it less expensive. Shipping the produce from halfway across the world can be very expensive, therefore driving the price up. Try visiting a local farmers’ market for the freshest in-season produce! When food is not in season locally, it’s either grown in a greenhouse or shipped in from other parts of the world, and both affect the taste. When transporting crops, they must be harvested early and refrigerated so they don’t rot during transportation. They may not ripen as effectively as they would in their natural environment and as a result, they don’t develop their full flavor. If you harvest something early so that it can endure a long distance shipping experience, it’s not going to have the full spectrum of vitamins and minerals it should have. Transporting produce sometimes requires the use of irradiation or addition of preservatives to protect the produce, which is subsequently refrigerated during the trip. These preservation processes can potentially destroy certain nutrients in your produce. 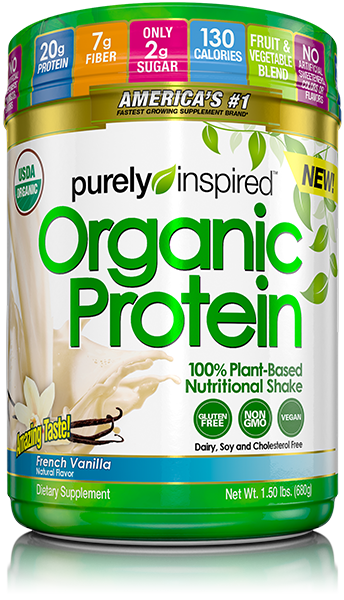 Try heading out to your local farmers’ market for some fruits and veggies to make a smoothie with Purely Inspired® 100% Plant-Based Protein. The combination of fresh produce from your local fields combined with a healthy protein source will give you a delicious protein and nutrient-packed smoothie! Look for these fruits and vegetables in your area that are in season this spring!